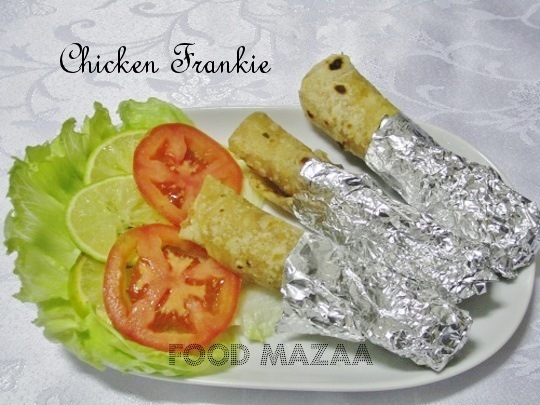 Chicken Frankie is the most popular snack that is very popular in restaurant menus or street food. It can be easily made at home which is definitely a healthy option. You can make thin wraps with maida or flour, dip one side with egg mix, pan-fry and fill it with any stuffing of your choice alning with sauces. 3. In a pan heat oil and saute the ginger garlic. Add the sliced onion and fry for a minute. 4. Now tip in the marinated chicken and fry till the colour changes. Simmer until done. You may not require any water as the chicken is finely shredded and it cooks very fast. 5. Add the chopped coriander leaves. 1. Mix the flours together and add the salt and oil. Knead them into a soft dough with water. 2. Roll out very thin rotis and roast them on the griddle. Keep them soft..do not over-cook them. 1. Beat the eggs adding a little salt. 2. Dip only one side of the roti in the egg mix and fry it on a griddle/frying pan. 4. Roll it and wrap the foil paper around it. i like chicken rolls.. will surely this.. Yes Prathibha.. true. they are easy and tasty. We can even make use of left over rotis. Yummy Frankie..Looks delicious..Nice and yummy recipe.. My best wishes :) and thanks for linking it to my contest :) Thanks for the continued interest!! 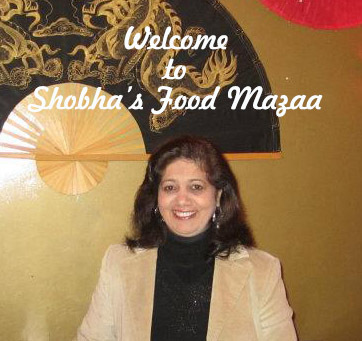 My pleasure to participate in ur events Divya.. and thanks for liking my recipe. i want...i want...i want this delicious chicken frankie. These frankies look so convenient for School lunches. Love them..Reminds me of my childhood when our mom made these for us. Delicious and a great way to use any leftovers too. Awesome Click and presentation as well. Following you. Thanks for the appreciation Dolly. I will superly Try this!! i was looking for such receipes to take to office ! !